Greg is of counsel to the firm. 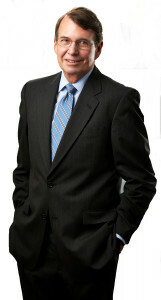 He is a highly experienced lawyer specializing in a variety of complex commercial litigation and corporate counseling. Before he entered private practice, Greg served four years as Special Counsel to the Office of Disclosure Policy at the Securities and Exchange Commission in Washington, D.C. As a member of the Commission’s Corporate Governance Project, he co-authored the Staff Report on Corporate Accountability (Committee Print, U.S. Senate 1980). After he entered private practice, Greg headed the securities law practice of a prominent Philadelphia law firm. There, Greg handled various securities matters including public and private offerings of securities, Securities Exchange Act reporting by companies and insiders and compliance counseling for investment advisers. Greg also defended corporate officers and directors in securities litigation and SEC investigations. Between 1994 and 2004, Greg managed litigation and counselled various business lines for Wachovia Corporation and several predecessor bank holding companies. As Senior Vice President and Assistant General Counsel, he managed an active docket of over 300 cases covering a broad range of claims, including class actions, employment, contract and trust administration disputes as well as SEC and NASD claims. In 2004, he returned to private practice, focusing on various business disputes, including civil RICO and business torts. He also counsels employers on various matters, including protecting their confidential information and employment counseling.